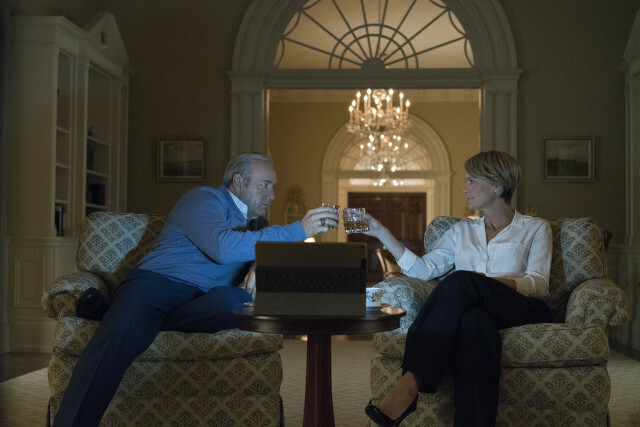 The first photos have been released from House of Cards season 5 and by the looks of things Frank (Kevin Spacey) and Claire Underwood (Robin Wright) are scheming again! 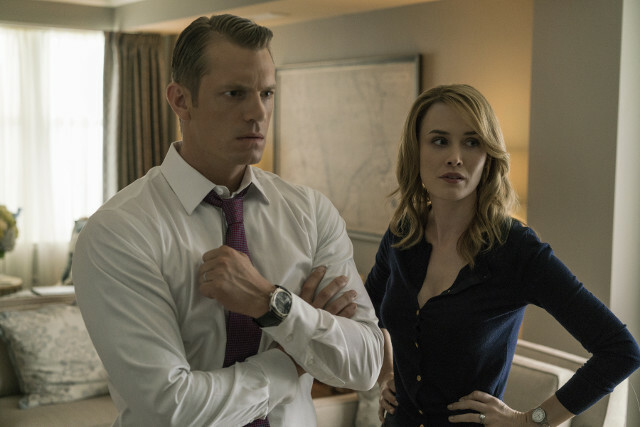 The fifth season of the hit series will arrive on Netflix on 30th May 2017 and these new photos are getting us all kinds of excited. 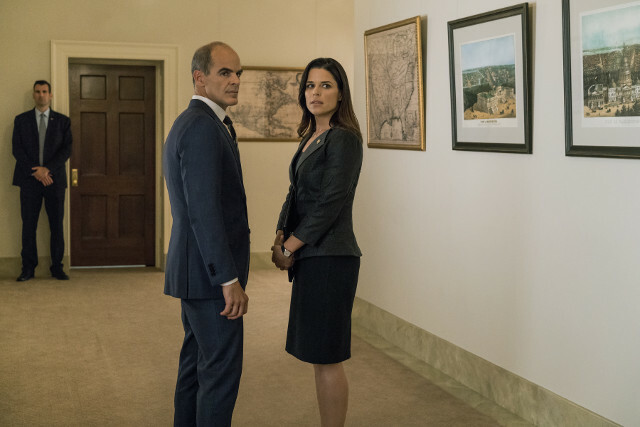 Returning stars for the season include Michael Kelly, ​Jayne Atkinson, ​Neve Campbell, ​Derek Cecil, Paul Sparks andJoel Kinnaman alongside leads Kevin Spacey and Robin Wright. 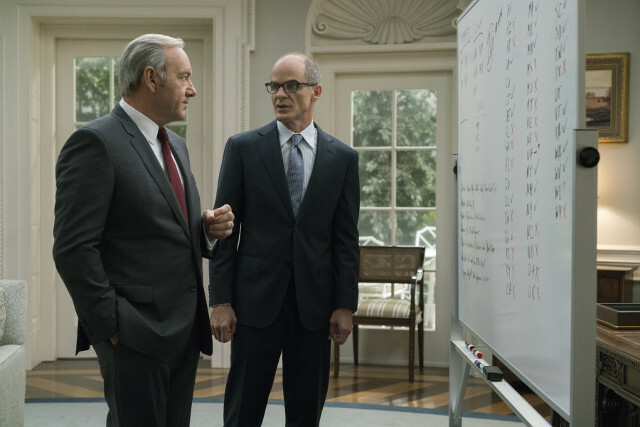 ​Melissa James Gibson and Frank Pugliese are showrunners for season five, and they serve as executive producers along with ​David Fincher, John Mankiewicz, Daniel Minahan, Kevin Spacey, ​Joshua Donen, Dana Brunetti, ​Eric Roth, Robin Wright, Michael Dobbs and Andrew ​Davies. 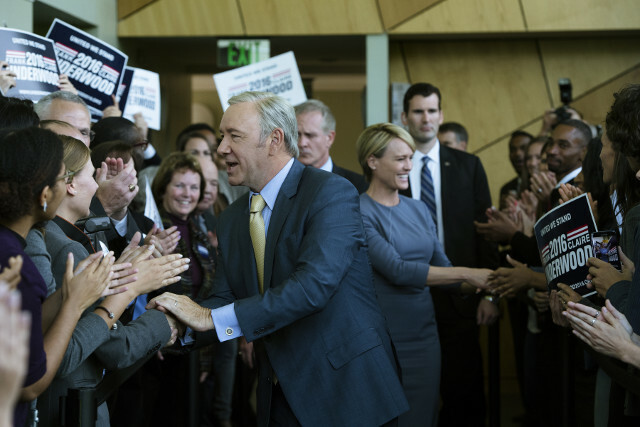 House of Cards was created for television by Beau Willimon and is produced by Donen/Fincher/Roth and Trigger Street Productions, Inc. in association with Media Rights Capital for Netflix.